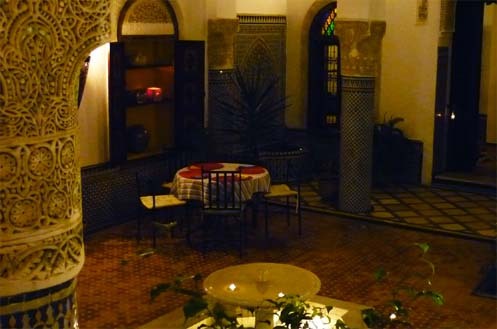 The Riad can provide a “table d’hôte”, that is, a traditional moroccan dinner with a single menu, changed each day (first course, main course and dessert). Drinks are included but no alcohol is served . Prices: 13,50 euros per adult, and 9 euros for children under 15 years of age. If you wish to dine on the evening of your arrival, please inform us at the time of your reservation.